What Is The Hungry Gap And What Seasonal Food Is Good To Eat Right Now? 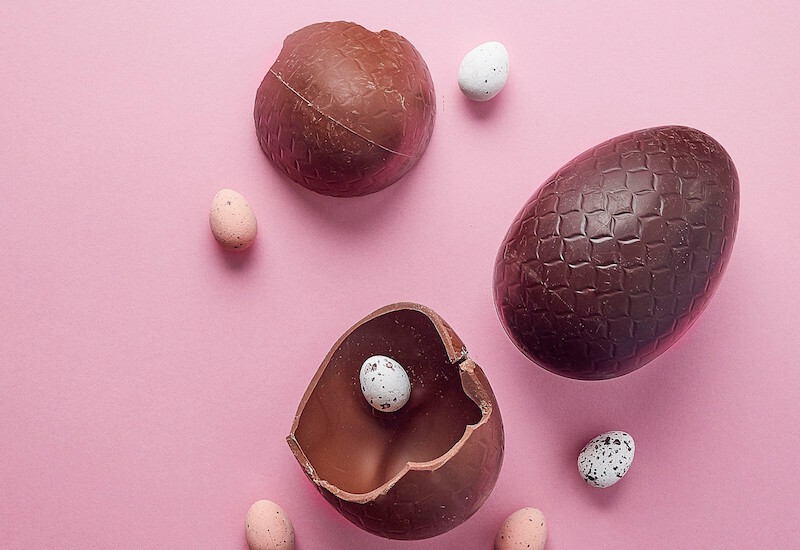 Here’s what you need to know about the hungry gap – the annual dip in fruit and veg grown in Britain – and what homegrown talent is best to eat right now. Kate at Grown Green harvesting kale: it’s one of the few green vegetables that’s more abundant and flavourful during the coldest months of the year. When is the hungry gap? Did you know April is the leanest month of the year for Britain’s farmers? Named the hungry gap, it spans much of spring (between January and May) and is the spring period in a market gardener’s diary when there is little to no fresh produce available to harvest. In depths of winter we can rely on homegrown trusty roots, such as carrots and potatoes, and old faithful brassicas, such as cabbage, kale, turnips and swede to help see us through. Yet fast-forward to when spring (eventually) appears and harvests start to look, well… a lot less abundant. April is when cold stores of onions, potatoes and other roots begin to run out and also there’s not much by way of fresh produce coming out of fields until May and June. 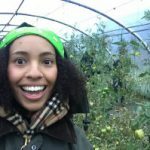 What does the hungry gap mean for me? A dramatic drop in variety and availability of what’s being harvested might not seem to matter much, as supermarkets do a great job of promoting the availability of cheap fresh produce all-year-round, but take a closer look at that label and you’ll spot Thailand, Tanzania and Mexico. Small-scale market garden farmers growing fruit and vegetables have been planning their spring crops since the end of last year – with spring vegetables such as broad beans and asparagus being sown between January and April/May. 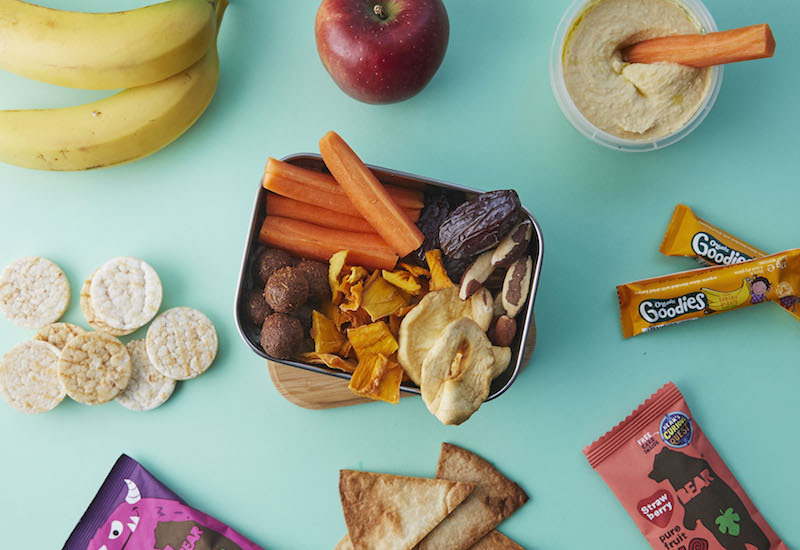 What’s in season during the hungry gap? 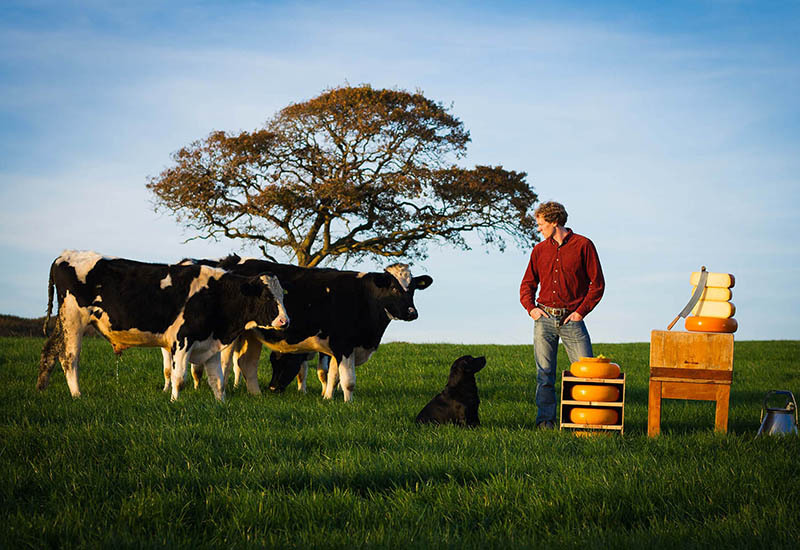 “At Farmdrop we tread the line really carefully between quality and provenance. 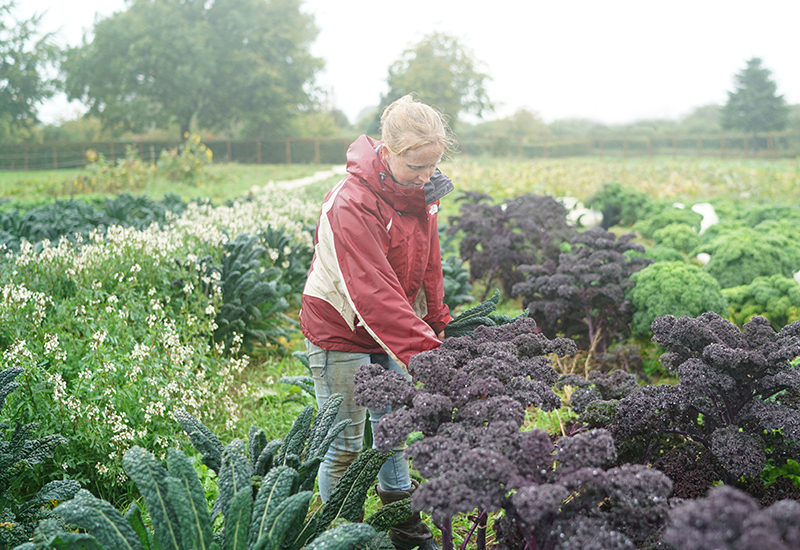 You can expect to see British chard, herbs, kale and some salad leaves all the way into April/May, however we’ll import some European fruit via our trusted organic producers.” says Lucia. 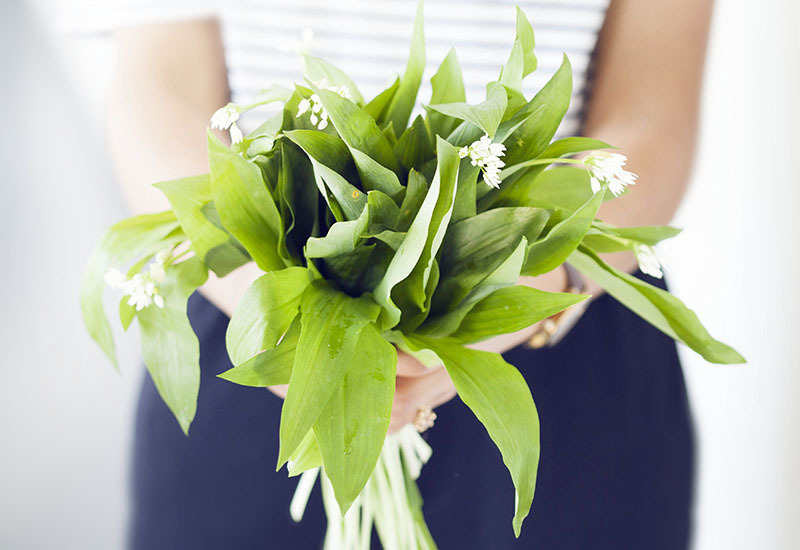 Wild garlic is native to Britain and is also known as bear leek, bear’s garlic, broad-leaved garlic, buckrams, ramsons and wood garlic. It is sweet and sharp in flavour, similar to chives, spring onions, and of course, garlic. Yet despite their strong scent, they are surprisingly mild in flavour. Try them shredded into omelettes, scrambled eggs or risottos. Also great added to soups, and as a fantastic seasonal substitute for basil in pesto. With a relatively short season, growing usually starts in Cornwall and the south, and eventually ends in Scotland. In season from March to June. A very welcome post-winter addition are these purple brassicas. 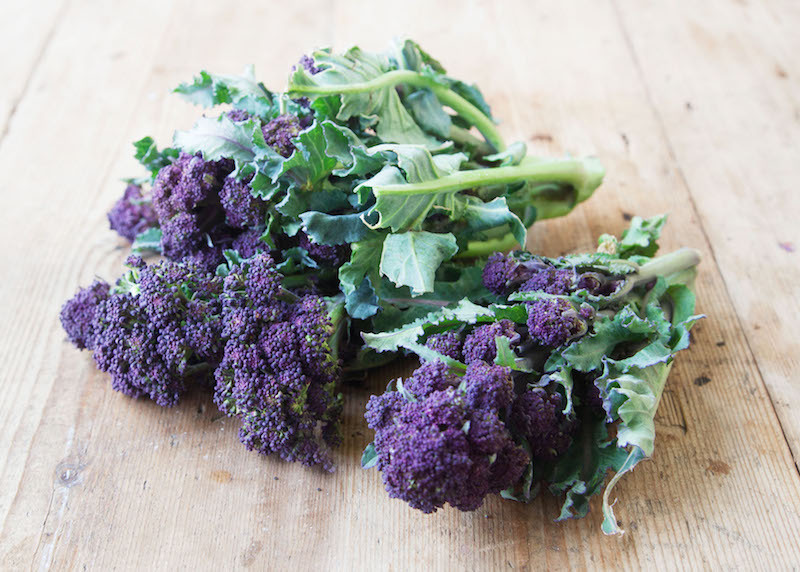 Thanks to their delicate, sweet flavour, purple sprouting broccoli are well worth enjoying just as they are. Halve any larger stems lengthways, then pan-fry, blanch or roast the lot until tender but still with a bit of bite. 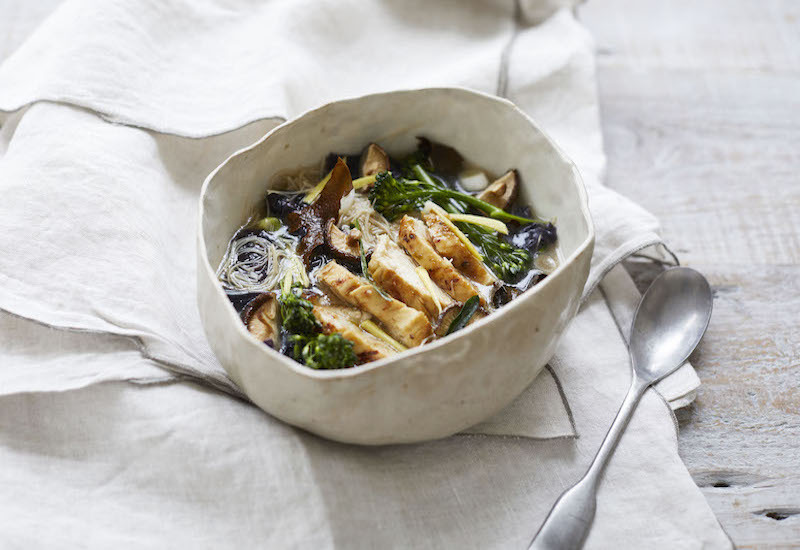 You can also liven things up with garlic, anchovy or chilli. Serve with fish or meat with salt, black pepper and butter or a drizzle of olive oil. In season from March to May. 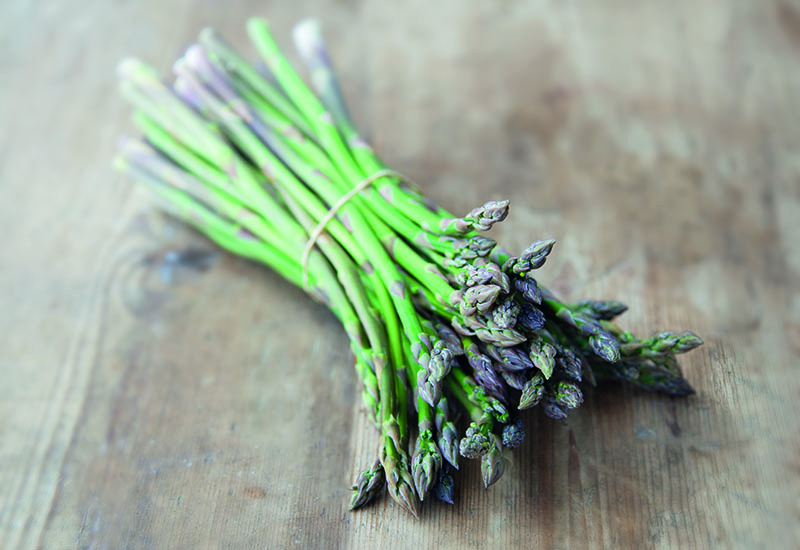 Asparagus is the superhero of spring. As soon the sun starts ramp up it can grow at a speedy pace of up to ten centimetres a day. However not all spears are created equal and British is undoubtedly best when it comes to this aphrodisiac of a vegetable as they taste their best the soonest you can eat them after being picked. A top tip when cooking: snap the base off each stalk by placing it in between your thumb and forefingers. Where it breaks is nature’s way of telling you which part is beautifully tender which part of the base is a little too tough. Lightly steam to bring out their fragrant flavour and dip in a runny egg for a breakfast treat. In season from mid/late-April to June. 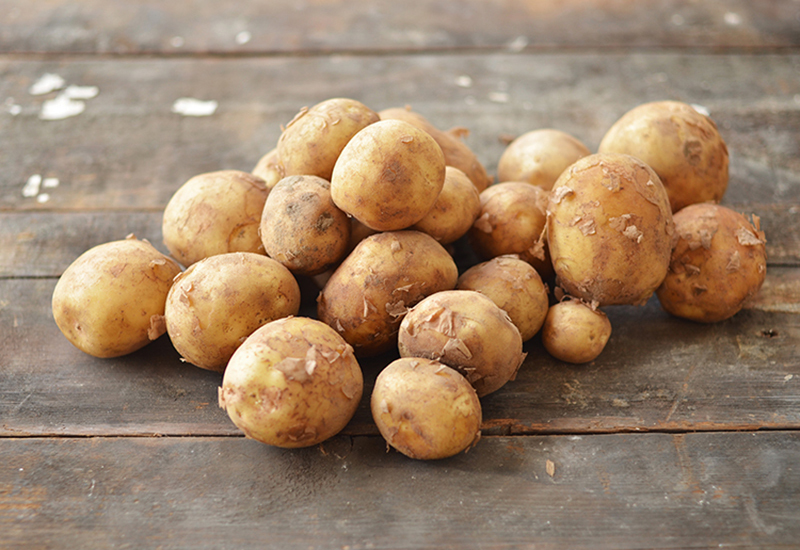 Another unabashed highlight of spring, these early variety new potatoes have a nutty, earthy flavour. Grown in the light and well drained soils typical of Jersey, these gems of potato are famously harvested by hand. Many farmers still use seaweed harvested from surrounding beaches as a natural fertilizer (known locally as Vraic). Jersey has some of the most formidable tidal flows in the world and the strong movement of the sea deposits large quantities of vraic on the shore. Reap all the rewards of their unique sweet flavour by enjoying in classic spud salad. In season from April until late June. Warning: this is not the beautifully bright pink forced rhubarb grown in dark sheds that’s made the Yorkshire Triangle famous the world over (and in season from January to March), but the more humble yet no less delightful field-grown variety that adorns allotments across the country over the summer. 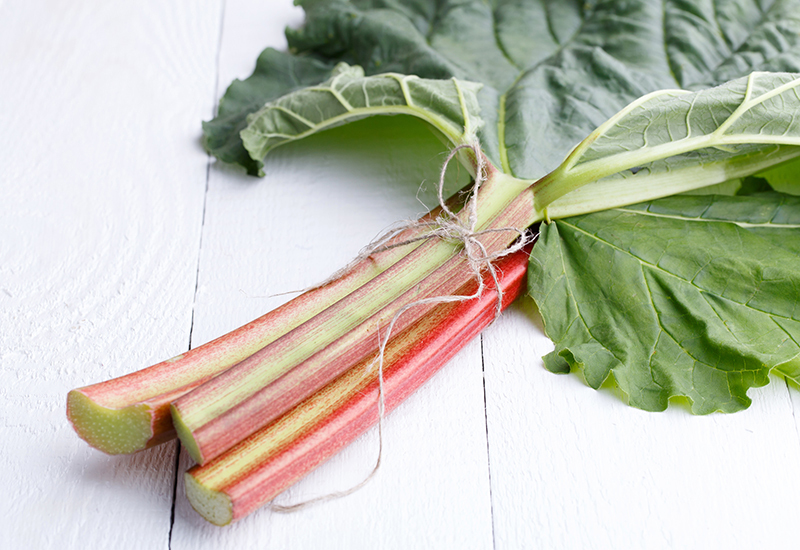 The stalks of outdoor rhubarb are a deeper red colour and are often tinged with green. It’s flavour is more intense and texture more robust than it’s delicate forced counterpart. Whether forced or field-grown, rhubarb’s tangy flavour works well in savoury recipes as well as sweet. Try it with fresh mackerel or roast pork. In season from April to September. 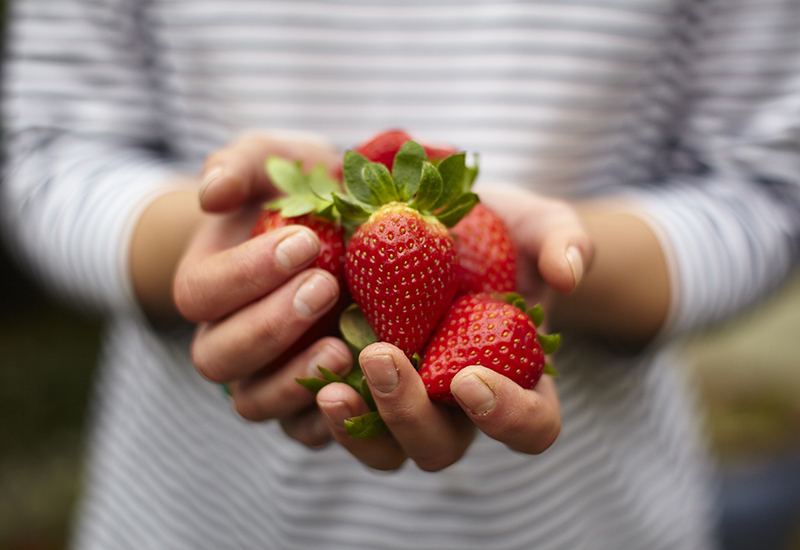 What was once a short-lived treat synonymous with British summers, the strawberry has almost become an expected supermarket staple courtesy of a supply of imported produce and a longer growing season at home. 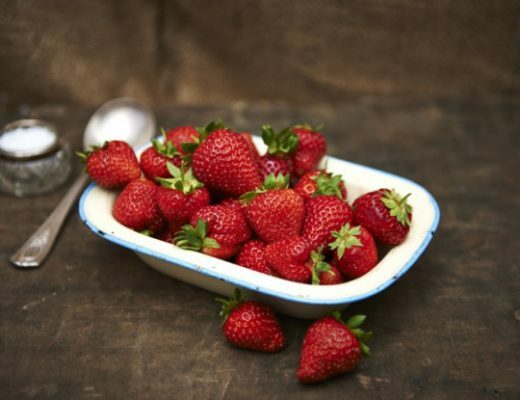 Historically, the season for British strawberries starts on 1st May. Our producers hand-pick their strawberries daily, selecting from the many varieties grown for the best flavour at the time of harvest. In season May to September. Discover six easy ways to eat wild garlic, why ‘new season’ spring lamb is a myth and how to preserve cabbage with this deliciously simple sauerkraut recipe. 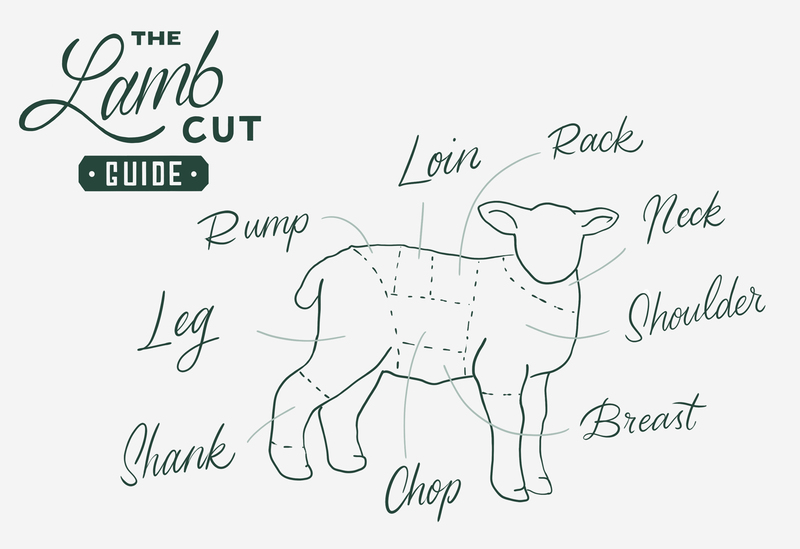 Here’s why we pay British farmers double what they get from the supermarkets. This post was originally published in March 2018 and has since been updated. Content Writer at @Farmdrop. Loves walled gardens, English wine and everything about doughnuts. “It’s Hard To Find Concrete Facts…Even Though Everyone Is Shouting About It” What Does Brexit Mean For Our Farmers? Hey there, thanks for stopping by. We're the ethical grocer delivering delicious food direct from local farmers who are paid properly. 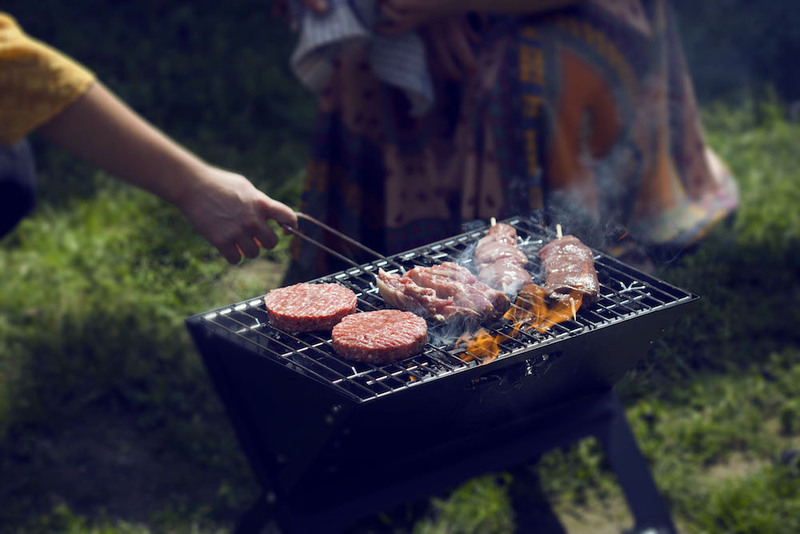 Tuck into producer stories, cooking tips and provenance adventures, and join us in our mission to fix the food chain.